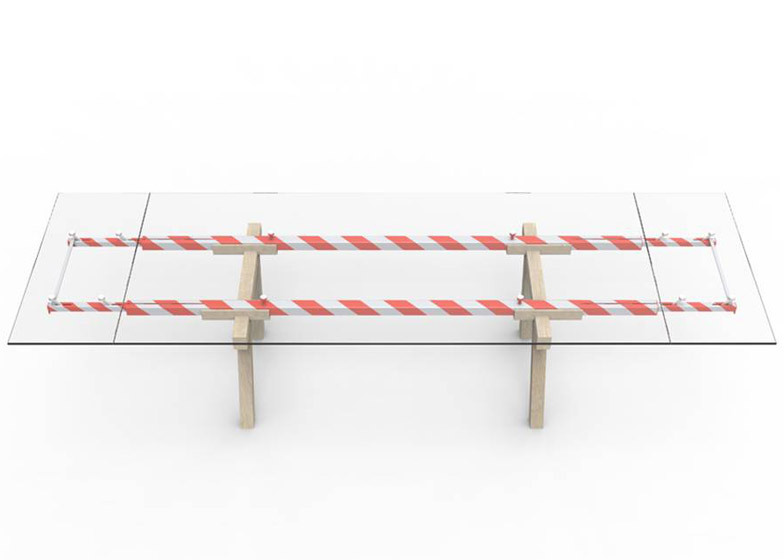 Milan 2014: Brussels-based designer Alain Gilles' extendable table for Italian furniture brand Bonaldo turns its functional mechanism into an aesthetic feature (+ slideshow). 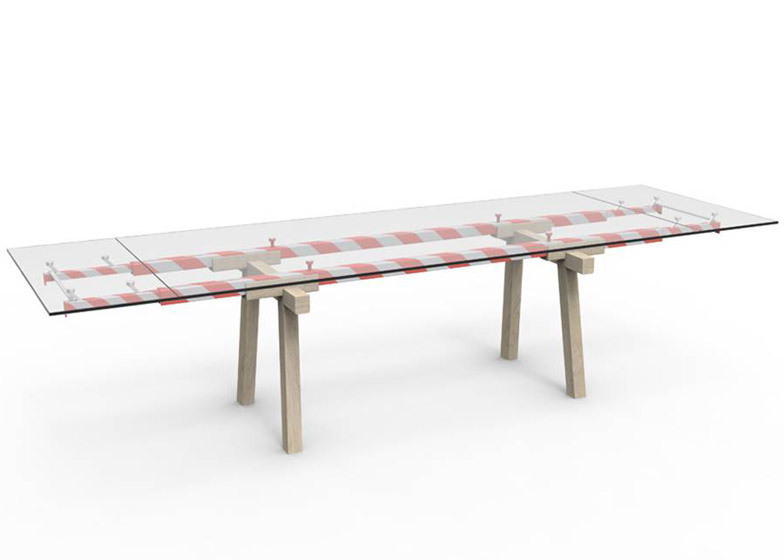 Launched at the Salone Internazionale del Mobile in Milan last month, the Tracks Table by Alain Gilles is an extendable table featuring a glass top that reveals the expanding lacquered metal arms beneath. 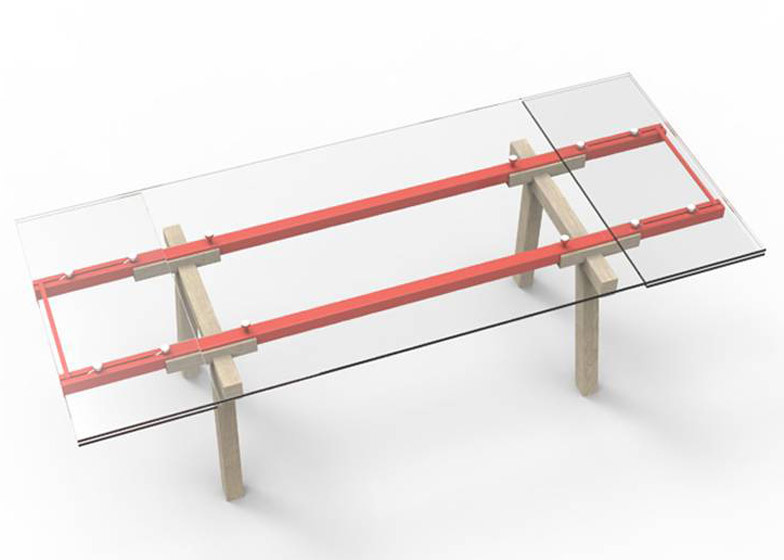 The arms, or "tracks", can be further highlighted in a range of bright colours, and nestle into two frames – each comprising a pair of sturdy oak legs. 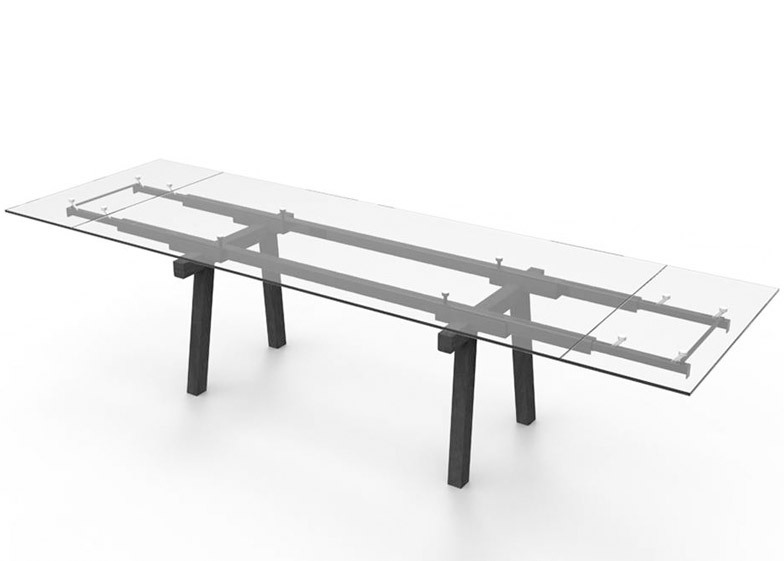 "From a design point of view, I don't like extendable tables," said Gilles. 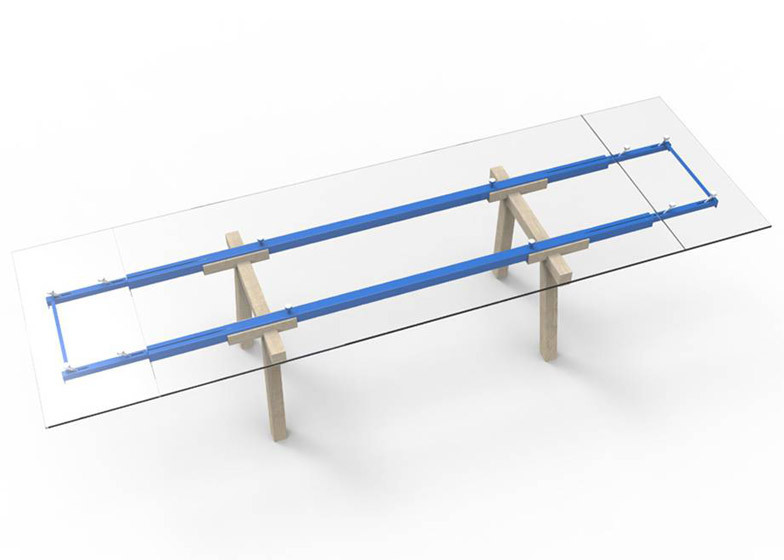 "They are extremely convenient, but the extensions are generally just added on to the table, or fully hidden so the table doesn't tell its story." 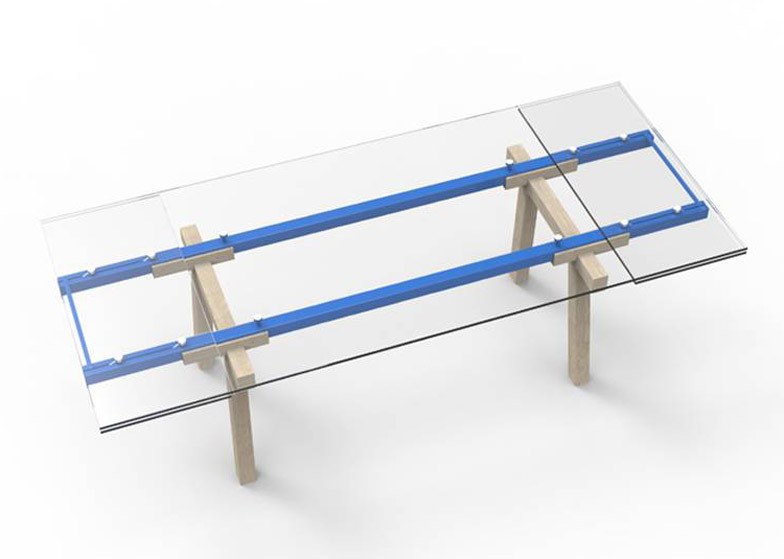 "I knew I had to show the mechanism and turn it into a lively part of the table that would show the possibility of transformation," he added. 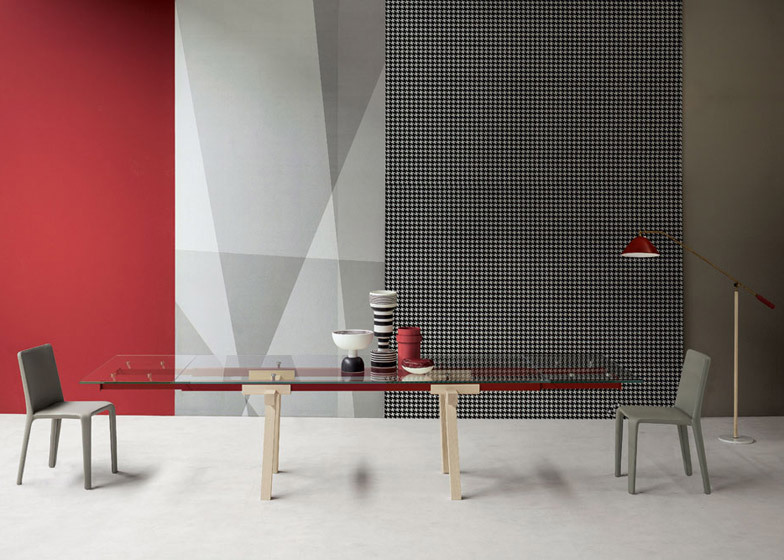 The surface finishes available vary the degree to which the functionality of the table is part of its aesthetic. For example, the clear glass reveals everything beneath while smoked glass partially obscures it. 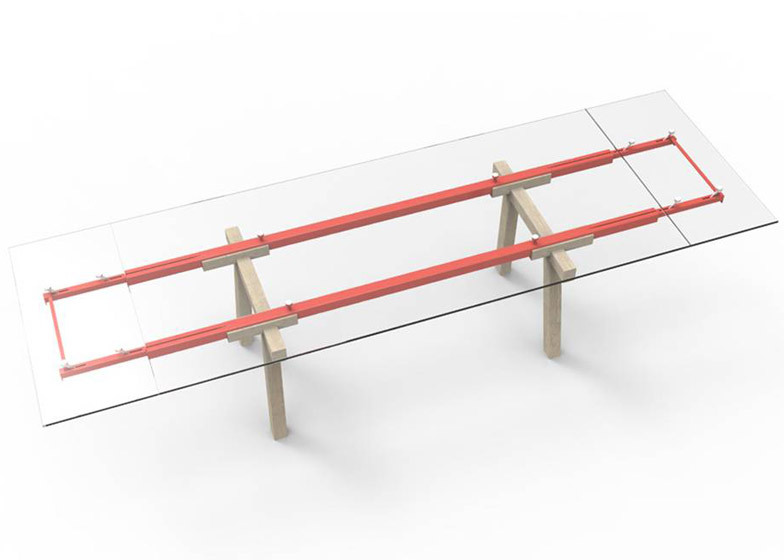 Bright red, blue or red and white striped tracks contrast against the light oak wood. 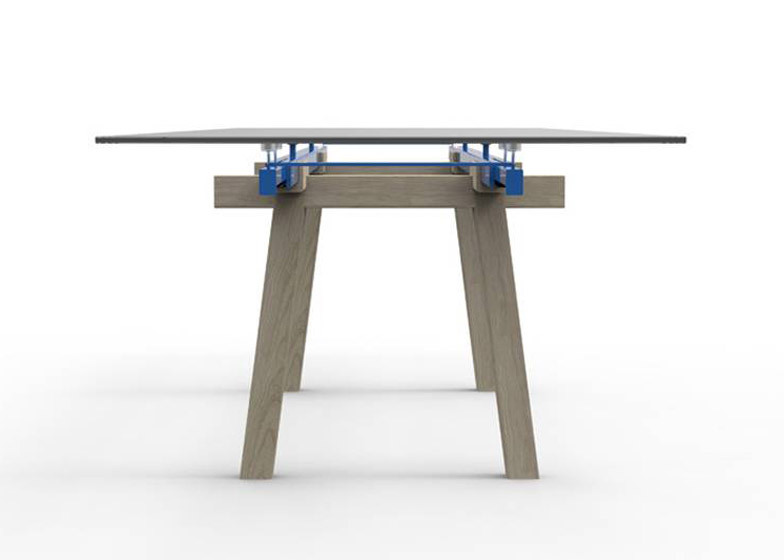 For a more subtle effect, both arms and oak base can be given an anthracite finish. 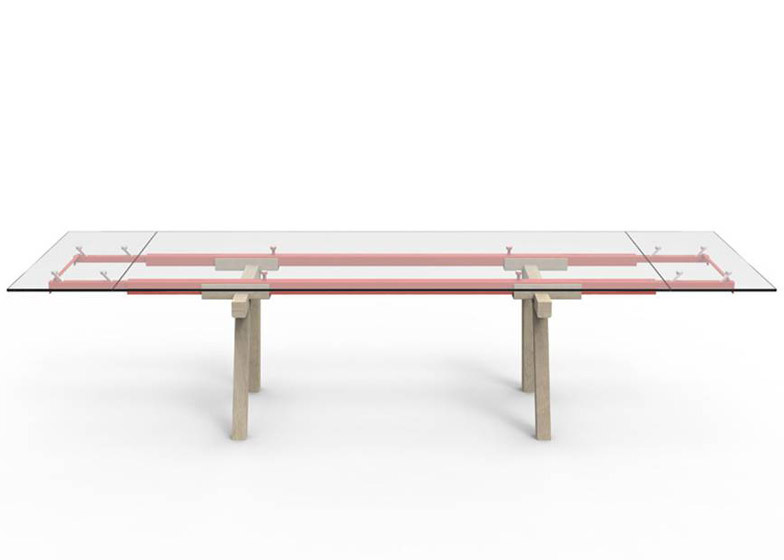 "I may have revealed the technical component of the table, but in no way did I want this table to be read as a technical product - the colours make it more graphic, and in a way a bit more child-like, toy-like," Gilles said. Gilles has collected images of tiny mechanical details since he was a child and often refers back to these when creating a new design. "I tend to take a lot of small 'stupid' pictures of details that nobody else pays attention to," he revealed. "Over time I have amassed quite a collection of details that one can find on the street: railroad crossing gates, the metal pole by which the gate is supported, a simple counterweight mechanism, signage on construction sites, the apparel one finds in old circuses..."
In this case, the extendable tracks were influenced by painted gates. 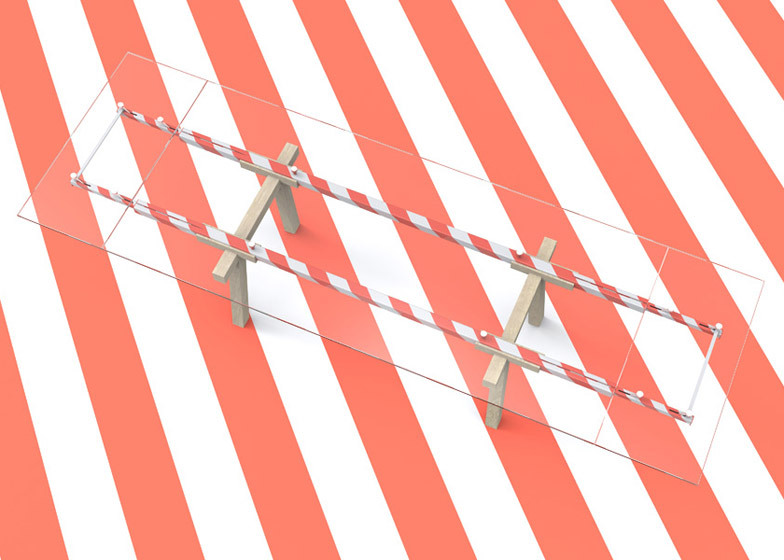 "The tracks are like the closing elements of gates, which often are often painted with red and white stripes," said Gilles. 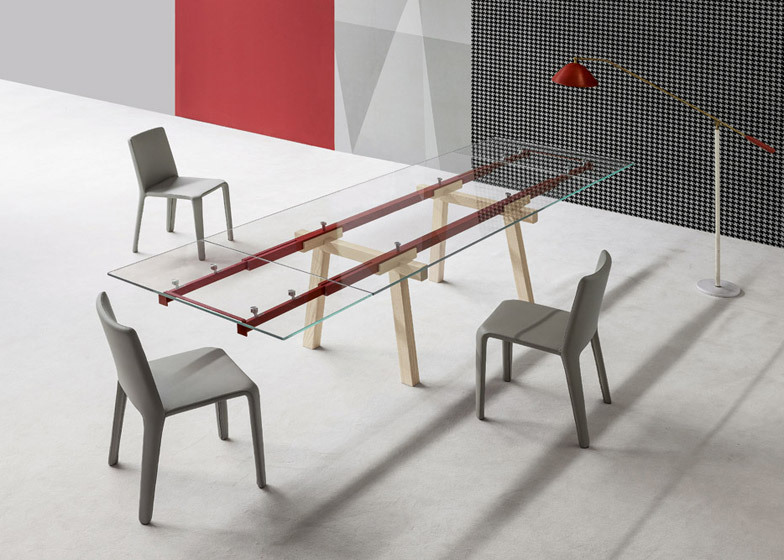 The table was launched by Bonaldo at this year's Salone Internazionale del Mobile, which took place from 8 to 13 April.